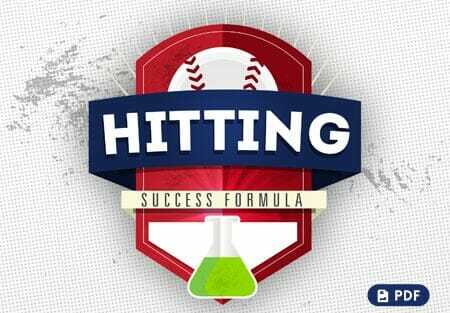 In today’s blog post, we are going to explore situational hitting – the situations and the solutions that will lead your team to success. The situation is less than two outs with a runner at third. The infield is playing back. 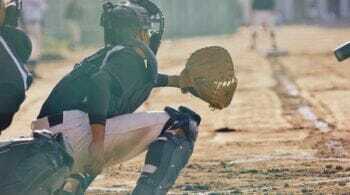 The ideal situation would be to hit the ball on the ground to be able to score the runner from third. 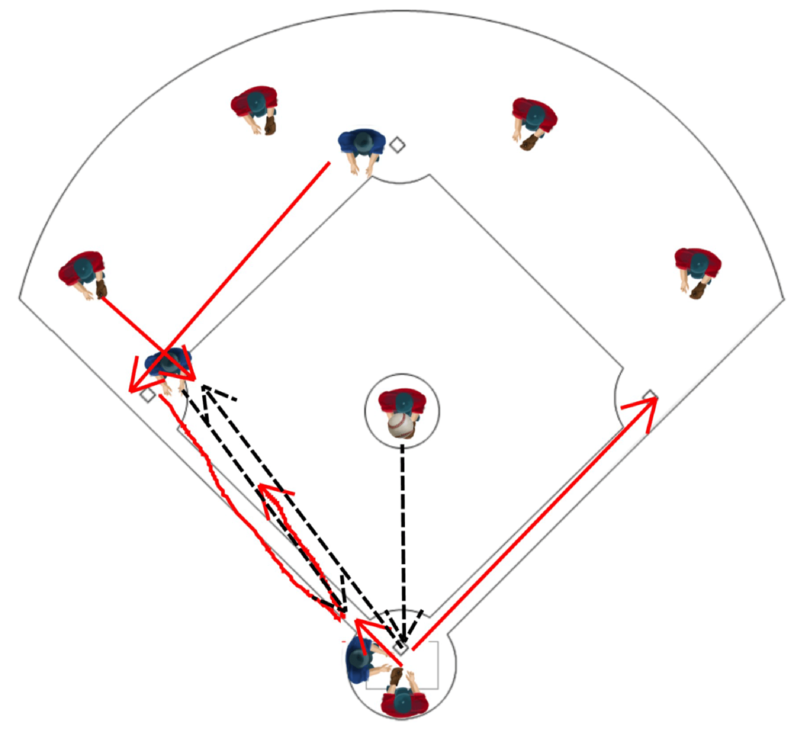 With the infield playing back, the hitter is looking to hit a ground ball into the infield, because the infield is actually giving us a run if we can hit the ball on the ground. In another scenario, we have runners on second and third with less than two outs. This is a contact play. The runner on the contact play breaks for the plate immediately as the ball is on the ground. He does not become concerned with the direction of the ground ball. He must break upon contact. The runner on second has to treat it as though there is not a runner at third. And if the ground ball is hit to the right side, hit in front of him where an infielder would have to move in front to field the ball, or a ground ball that would be through the infield, he would be advancing to third and possibly home. 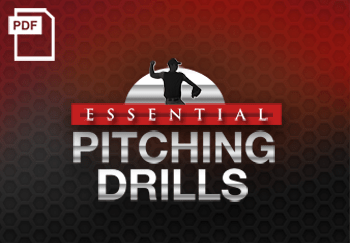 If it is hit hard to third or directly back to the pitcher, the runner trying to score will get into a rundown and stay in the rundown as long as possible to allow the runner from second to get to third and possibly the hitter to run to second. Let’s take a look at how it works on the field. The baserunner on third is merely reading the ball right off the bat of the hitter. If it’s on its downward plane, he is making a break for the plate immediately. Even with the infield up closer, this is a high percentage play. 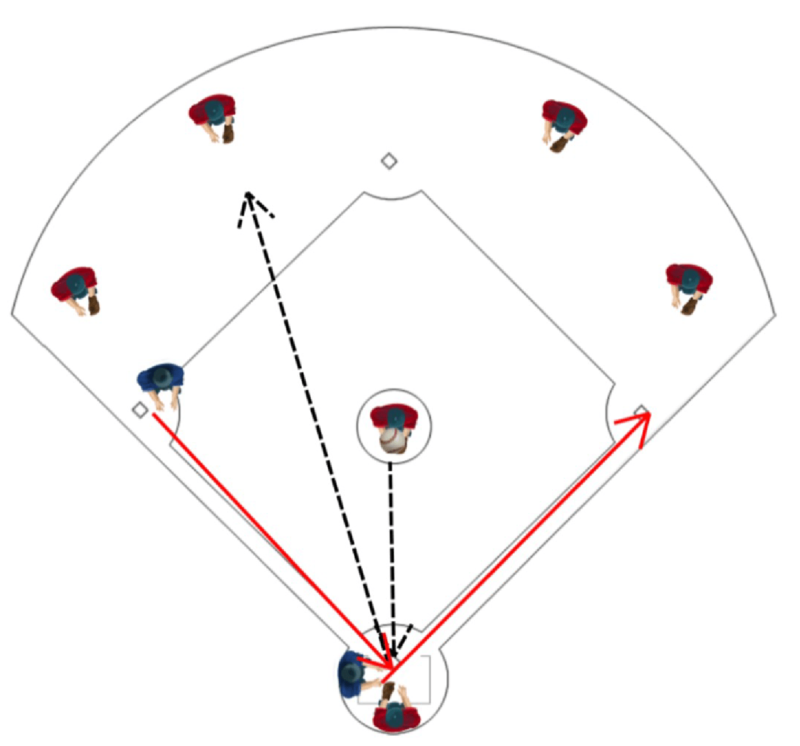 It forces the defense to make the play at the plate on a runner that is moving and trying to score. 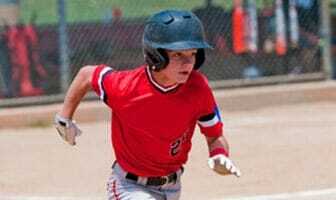 The stance of this hitter in relationship to home plate is important – his back foot should be lined up with the middle of home plate. That way, when he squares around and begins to go to the bunt position, his back will be in fair territory. As you can see, the bat would be in fair territory; that way, he can bunt the ball into fair territory much easier. 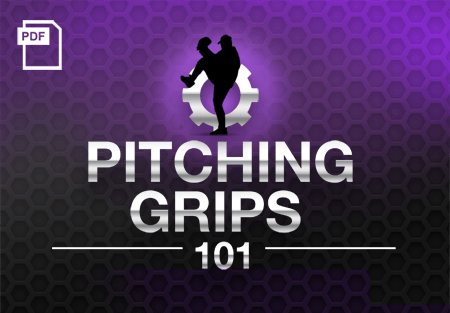 The first technique is to square around moving both feet at the same time, thus getting square to the pitcher. 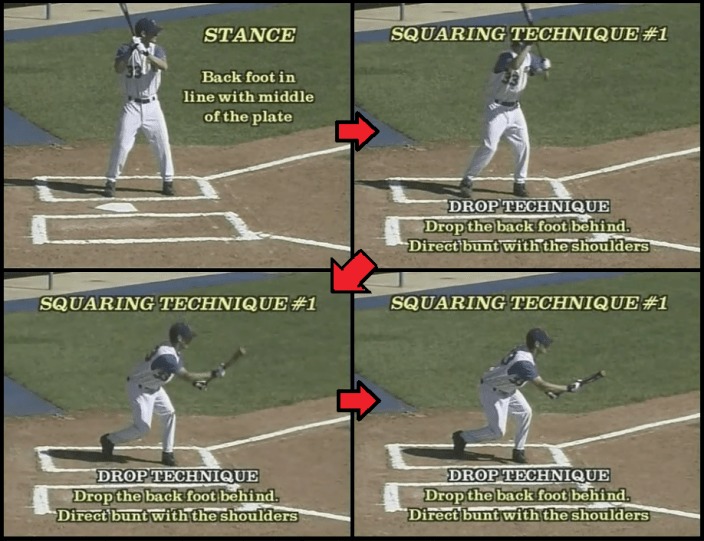 The next movement could be a pivot move, which is the second technique, where the batter just pivots on his feet. Coach needs to decide which technique he prefers. Some coaches will use both techniques. 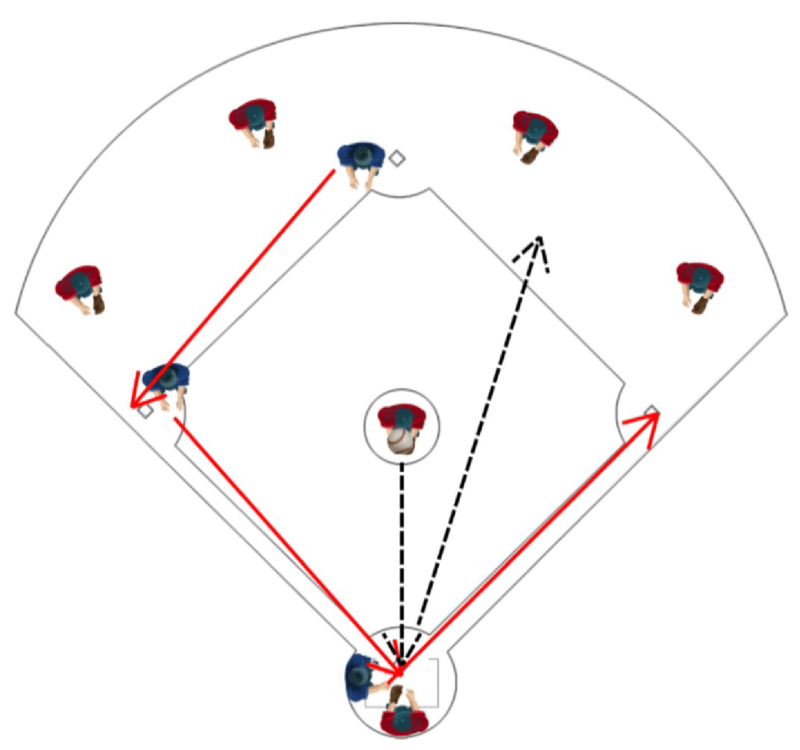 They will use a pivot technique in less crucial situations; and the square technique, especially in the late innings, when it is absolutely crucial to get that run across. 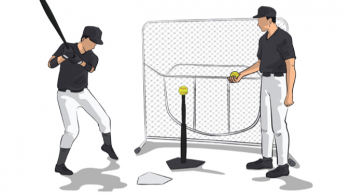 They feel that this technique is much easier and more successful because the batter has totally squared his body to the pitcher. The batter’s grip on the bat will determine how hard the bunter will move the ball away from home plate. If he wants a very firm bunt, then he will grip the bat very firmly. If he wants a soft bunt, then he will have more of a loose grip on the bat. His hands do stay separated; bottom hand down by the knob, top hand up by the label on the bat. You should notice as he grips it that his top hand and fingers are underneath the bat, thumb behind it. This way he protects his hand. As he bunts it on the barrel, it will not make contact with his hand. In order to place the ball, all the bunter has to do is to turn his shoulders in midline in the direction that he wants to go. 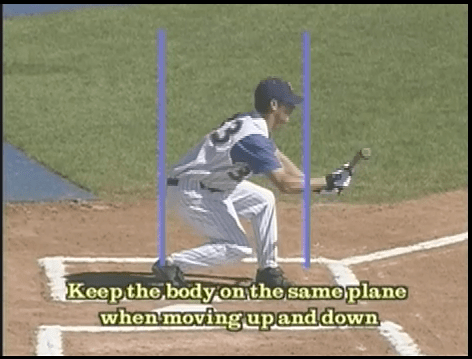 If he wants to bunt to the first base side, he merely turns his shoulders in that direction with his midline. If he wants to go to the third base line then he would turn his shoulders in midline to the third base line. The least bit of movement that we can have, the better that we’re going to place the ball. When moving on pitches that are up and down in the strike zone, the bunter wants to move all in one piece. In other words, his body is going to stay on the same plane. As he moves up and down, everything moves in one piece. The bat moves as he flexes down with his knees, and as he stands up further the bat comes up and moves the same. This way, we can keep our eyes level and we can keep our bat in the right position. 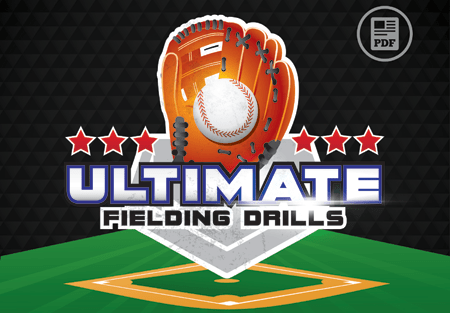 For more great hitting tips and techniques, be sure to check out our complete hitting drills library , complete with video demonstrations! 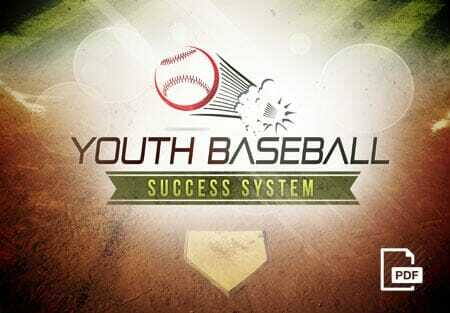 And don’t forget to Become a Fan on Facebook, where I will discuss more important situational hitting mechanics!